We're back at the Airfield this week getting coverage of AM-490, in other words - Jump! AM-490 is the only program in the entire world where the first jump is an unassisted freefall, how amazing is that? 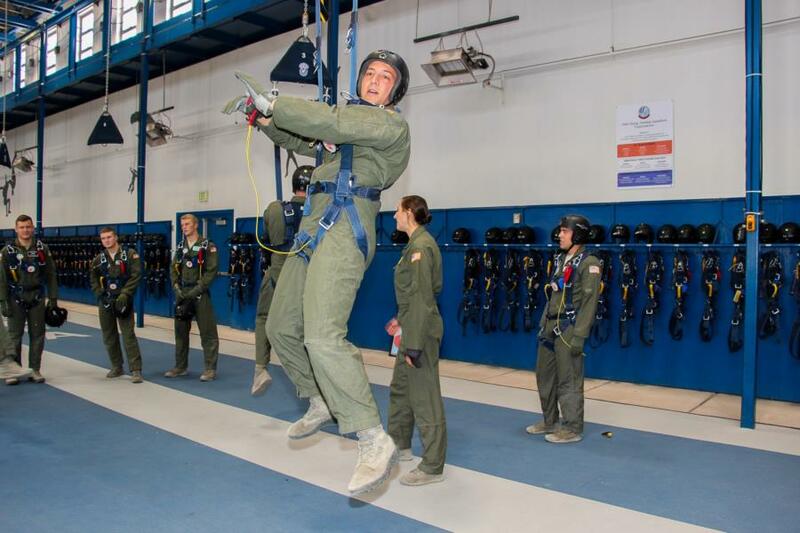 Because of this unique difference all students, cadet or staff who go through this program will have roughly 40 hours of ground training before their first jump. 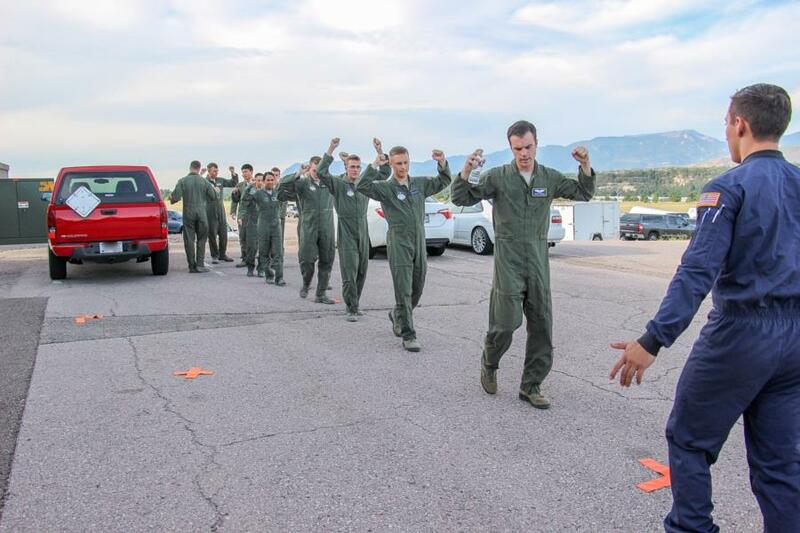 In the video clips below you will see Cadets practicing their Arch-Count-Pull sequence, learning all of the basics of flying their canopy and landing safely as well as practicing the verbalization to all the emergency procedures they will be tested on. The Academic year is much different in pace than the summer program months, during the summer Cadets will move through this program from beginning to end within one to one and a half weeks. During the Academic year they can take a bit more time and will go through this program in just under a months' time. The first half of the program is all ground training, most of it takes place here at the Academy but the last stage is the vertical wind tunnel which they get to experience up in Denver. When they have successfully completed ground training, the aerial portion of AM-490 begins. 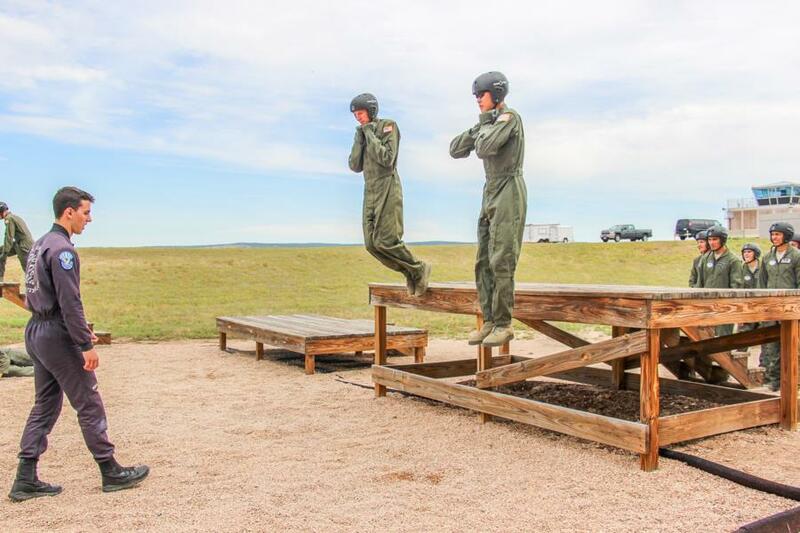 Each jump is videotaped and reviewed by the Wings of Blue members, after they are reviewed the Cadets will earn a grade on each jump and will be given retraining if needed. 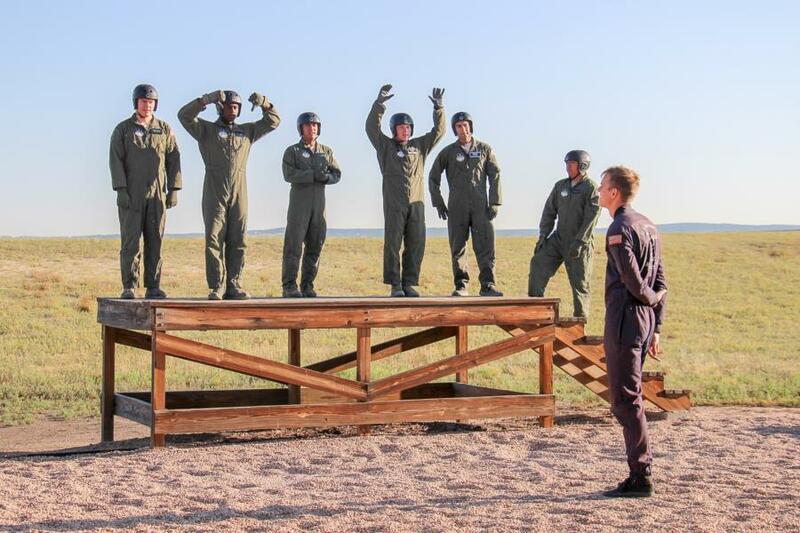 Once a student has completed their 5 jumps and has received their jump wings, for the rest of their AF Careers they will have those wings on their uniform. Cadets are currently in the Ground Training portion of the AM-490 class, we were able to stop by and catch both the M and T day groups going through and will hopefully catch them again as they get their jumps in the coming weeks. To view the rest of the pictures taken this week go to Galleries - Airmanship - Jump. Or click the link below.